JOHANNESBURG – THE Huawei Mate 20 Pro has been adjudged the world’s best smartphone. It received the accolade at the 2019 GLOMO Awards at the Mobile World Congress (MWC) 2019 in Barcelona, Spain. The GSM Association, a trade body that represents the interests of mobile network operators worldwide, conferred the award. 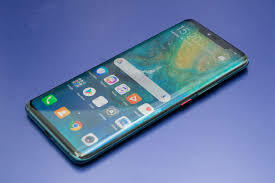 The Huawei Mate 20 Pro was unveiled in October 2018. Huawei’sMate 20 Pro is equipped with a 40MP wide angle main camera, a 20MP ultra wide-angle camera, and an 8MP telephoto camera. At the GLOMO Awards, Huawei also won the Best Mobile Technology Breakthrough for its 5G RAN Innovation as well as Best Mobile Operator Service for Consumers, together with Sunrise, for the Sunrise 5G FWA service. Huawei also clinched Best Mobile Innovation for Automotive for the C-V2X Solution. Samsung won Best Wearable Mobile Technology for its Galaxy Watch. John Hoffman, Chief Executive Officer of GSMA, said the awards were a testament to the incredible innovation and ingenuity shaping the industry. “Our congratulations to all of the winners and nominees of the GSMA’s GLOMO Awards 2019,” he said.